Pet foods available at online supermarket come in a wide variety of choices, ranging from dry kibbles to wet mixtures. There are food formulas especially designed for kittens, puppies, senior dogs, and senior cats to help them maintain a healthy lifestyle. Hence, choosing the right one can be very challenging. There is lots of information available online on how to choose the best dog food. Understanding the best type of food for one’s pet will lead to finding the right brand. The first thing that a pet owner needs to do is to determine the best type of diet for their pet. Younger pets such as puppies or kittens need high-calorie diets. On the other hand, overweight pets need low-calorie diets. Arthritic or older pets can also benefit from low-calorie diets with glucosamine supplements. Inactive pets may also need more fiber in their food. A pet owner needs to talk to his vet about the types of ingredients that are important for their pet’s health. A pet owner should also need to evaluate carefully various dog food or cat food brands that have similar claims. Avoid comparing a low-calorie kibble to a puppy kibble, as would not be of any help. Look for a brand that meets the basic health needs of one’s pet. Look for other food with similar type of diet. For instance, make sure to compare not only its brand but also the product itself when buying food for inactive pets. Review the ingredient list and the label, while comparing it to other food products. Read the label of the food to know its claims. For instance, if the label says that it is made of chicken, then the chicken ingredient should not be less than 95% of the total food weight, exclusive of the water needed for processing. Some labels state ‘dinner’, which suggests that the named ingredient is only 25% of the total food weight, giving the manufacturers more flexibility with their ingredients. Check also the ingredient’s list. Typically, the ingredients are listed according to weight in descending order. Food fillers include cereal byproducts, potatoes, soy flour, brewer’s rice, and corn. If the cat food has these fillers listed as the first or the second ingredient, then the buyer is paying only for fillers, and not for nutrition. Check for other information on the label about some specific ingredient that meets certain pet’s diet requirements such as lower calories, higher protein, and other supplements. Calculate the food’s cost per pound. Divide the food price by the number of pounds in every bag of kibble. Generally, smaller bags of kibble have higher price per pound. Lastly, use various online resources when comparing different food brands. These help the buyers in understanding the food label and other important information on it. 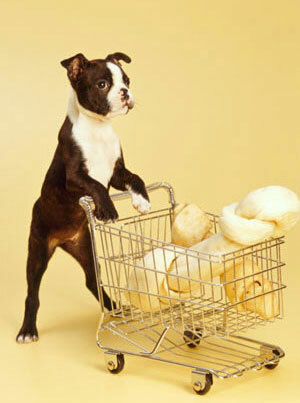 You may also be interested in this useful advice on buying pet food at online supermarkets. Watch this video and learn how to choose the best food for your pet.